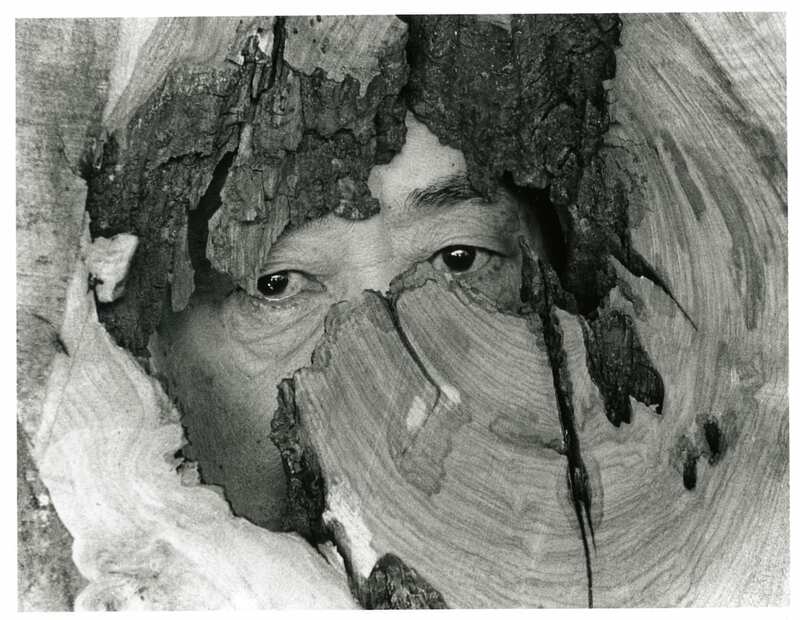 George Nakashima, photograph by Jack Rosen, New Hope, PA, circa 1980. Michener Art Museum Archives, the George Nakashima Collection, gift of Kevin Nakashima and Mira Nakashima-Yarnall. 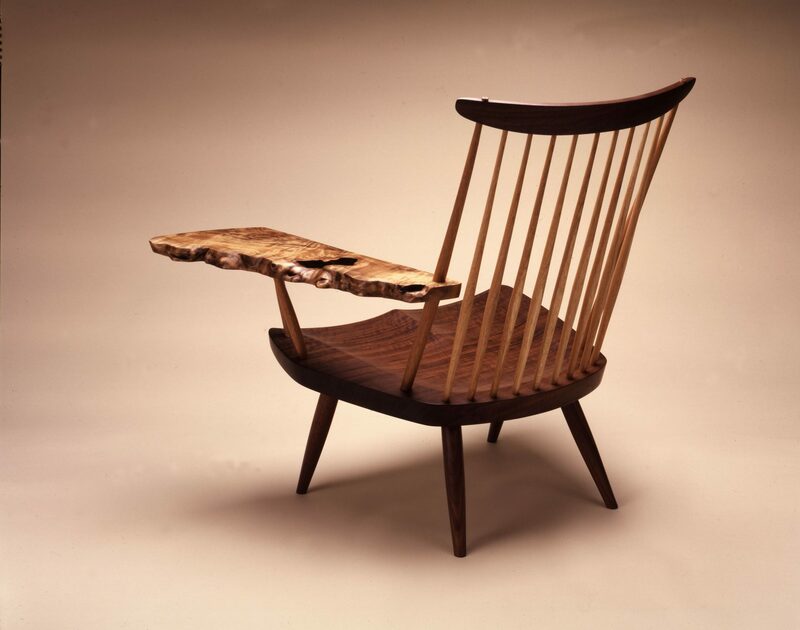 George Nakashima (1905-1990), Lounge Chair with Myrtle Burl Arm, designed ca. 1962, made in 1989.American black walnut, hickory and Oregon myrtle.H. 33 3/8 x W. 28 x D. 32 inches.George Nakashima Woodworkers. Robert Whitley (b. 1924). Starfish Desk, 1966. Figured American black walnut, hide glue gesso and stippled blue paint. 55 x 36 x 17 inches. James A. Michener Art Museum. Gift of the Artist in Honor of Bruce Katsiff, Director 1989-2012. Mira Nakashima (b. 1942), Tsuitate Sofa, designed in 2015, made in 2018. American black walnut, Oregon maple burl root, upholstery.H. 46 x W. 75 x D. 37 inches.GeorgeNakashima Woodworkers. Nakashima Looks highlights the Michener’s long-standing focus on Studio Furniture while providing a window to the Museum’s future direction. Renowned artist Mira Nakashima turns her eye towards the Museum’s Studio Furniture Collection. 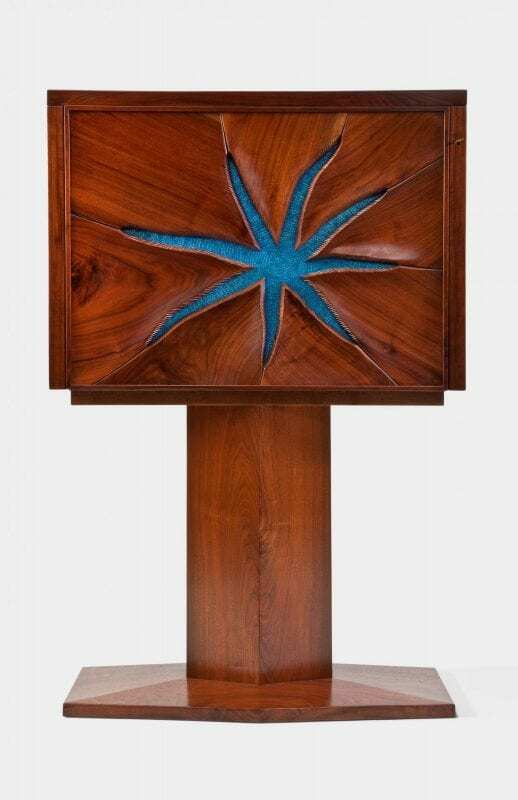 Rooted in its deep commitment to George Nakashima’s legacy, the Michener has continued to collect and exhibit modern and contemporary craft, including fine examples of Mira Nakashima’s own work as well as work by Paul Evans (1931–1987), Jack Larimore (b. 1950), Robert Whitley (b. 1924), and Mark Sfirri (b. 1952), among others. Select loans round out Mira’s intimate look at craft furniture at the Michener, including pieces by Wharton Esherick (1887–1970), Harry Bertoia (1915–1978), Sam Maloof (1916–2009), and both generations of the Nakashima family. 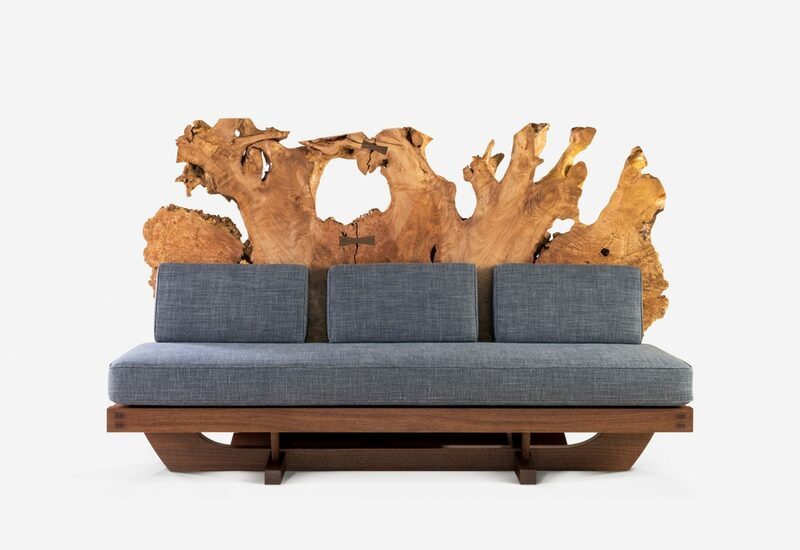 For a limited time, visitors will have the rare opportunity to immerse themselves in the Nakashima legacy as well as the broader context of furniture design on view in both the Nakashima Looks and The Art of Seating exhibitions. 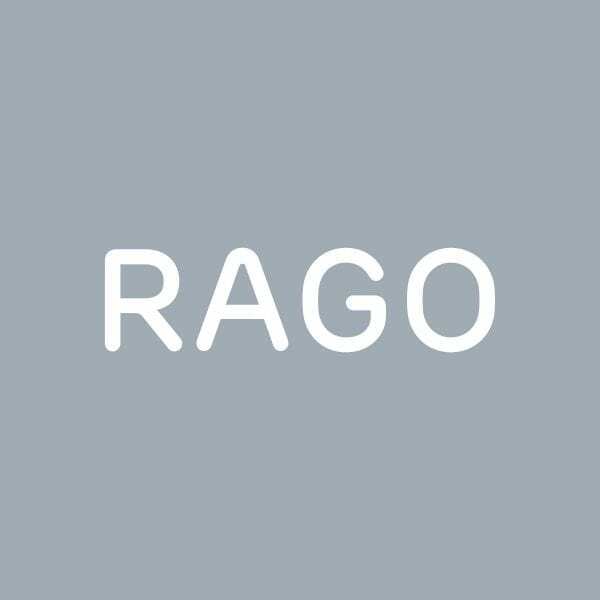 Nakashima Looks: Studio Furniture at the Michener is generously supported by RAGO. Additional support is provided by Judy and Seth Blau.